CCTV has been used as a security tool since it was first developed. Business owners used it as a deterrent to stop break-ins with the idea that if intruders did break-in they would be identified, caught and prosecuted. This premise has not changed but security surveillance camera and recording technology has changed dramatically. The video image resolution of cameras has improved so dramatically that Full High Definition 1080p (2MP) is now mainstream. The resolution of the security surveillance cameras we normally install is 5MP, which satisfies the needs of most of our clients. Some of our clients have needed high resolution IP cameras (8MP), which we have been happy to install. We have an excellent range of cameras available from our suppliers to satisfy our client’s needs. These range from license plate (LP) cameras, face recognition cameras to pan-tilt-zoom (PTZ) cameras. The recording devices, network video recorders (NVR’s), have had to improve dramatically to store the vast amounts of high resolution video images that are generated by the IP cameras. We usually allow 1TB of HDD storage capacity for each IP camera that we install, which provides about a month’s video storage depending on use. The NVR’s we install have multiple HDD storage bays, i.e. for hard drives with up to 4TB storage capacity. All the video images are stored on the NVR’s hard drive/s by day, date and time for easy and fast access. We normally set the NVR to only record when it detects movement via the security cameras. Recorded images can be adjusted for backlight, contrast etc to give the best possible picture. Date and time stamping on each camera feed is a standard feature. You can conveniently view live and recorded video images via a Full HD (1080p resolution) colour monitor, which is connected directly to the NVR by a HDMI cable. The NVR offers superior search capabilities via the Internet or LAN so that you can remotely view live or recorded video images stored on the NVR from any password protected PC, Laptop or iPad via your existing Internet connection. A free App can also be downloaded for remote viewing on your Smartphone. To ensure the CCTV electronic equipment (IP cameras, PoE switch and NVR) is protected from power fluctuations and to provide some power backup for the system in the event of a mains power failure, we highly recommend that clients have us install an Eaton Powerware 5P series line interactive pure sine wave uninterruptable power supply (UPS). Because a CCTV Security Camera system is by nature security device/tool, we normally install the NVR, PoE switch to power the IP cameras and the NVR in a lockable wall mounted cabinet positioned in a secure part of the client’s business premises. Using the products we promote and install, business owners and managers can have an integrated CCTV and access control solution. Briefly, when each staff member presents their prox keyfob to a prox reader to as to gain access to a building or area within a building, a security camera would be recording this event. Management, when investigating a breach or security incident, would be able to quickly and conveniently verify each staff member’s whereabouts at the time of the incident using the integrated systems. Please refer to the Access Control section for further information, or easier still, why not call us now to arrange for one of our friendly Security Consultants to discuss your plans and help design a new integrated security solution to suit your home or business in Hamilton or anywhere in the Waikato region. Today, High Definition CCTV systems form a vital part of a fast growing number of local businesses. Our clients value the certainty security surveillance cameras and recording systems provide as a management tool, empowering them to put in place effective strategies to maximise profitability. It is not too surprising really, as the All Blacks use CCTV for the same purpose and we all know the success this has brought them. Used as a management tool, CCTV can cost-effectively capture the actual working environment of each business (or separate departments), i.e. inward goods reception area, factory, production line, packaging plant, dispatch area, driveways and carpark areas. With this in mind, a well-designed CCTV system should provide the necessary video information to enable management to formulate and implement plans to make the desired improvements and to also help in the verification process. CCTV can play a very important management role for implementing and enforcing a business’s Health and Safety Policy and can help take the guess work out of investigating accidents and/or near misses. By having recorded video images of an actual workplace accident, it has made the ACC claims made by some of our clients easy as the investigation process is very much simplified. Some of our clients also use CCTV security cameras to monitor the manufacturing quality of the products they make and have benefited from the technology by having fewer staff to do the same job. For homeowners, a CCTV security surveillance camera and recording system keeps an eye on your home when you are away. When watching recorded video images, you may be surprised at what goes on. Security surveillance cameras can be used indoors and/or outdoors and can be integrated into other security systems. We often use a range of CCTV equipment that is more cost-effective than the commercial systems. Please refer to the ‘Security Tool’ section above for the operational aspects of the CCTV systems we install, i.e. all CCTV security camera systems function much the same whether for domestic or commercial application. 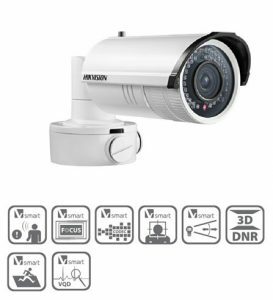 Why not call us now to arrange for one of our friendly Security Consultants to help design a custom CCTV security surveillance camera and recording system for your home or business in Hamilton or the Waikato region. Nx Witness was conceived and created for one purpose – usability. 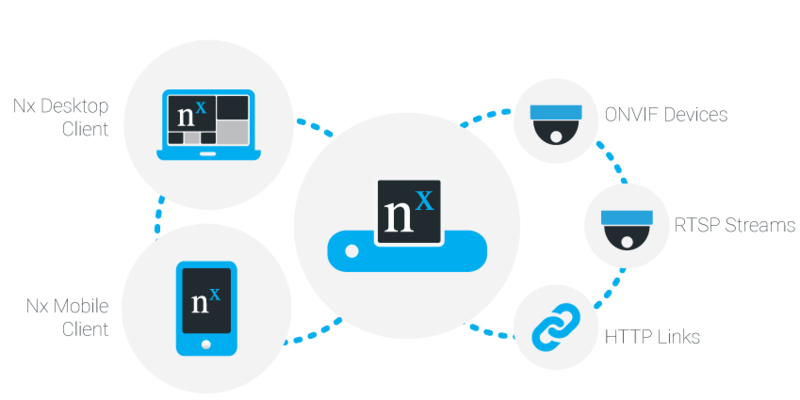 With a single unified interface for administration and monitoring, Nx Witness gives users the ability to interact quickly and meaningfully with their IP video system.